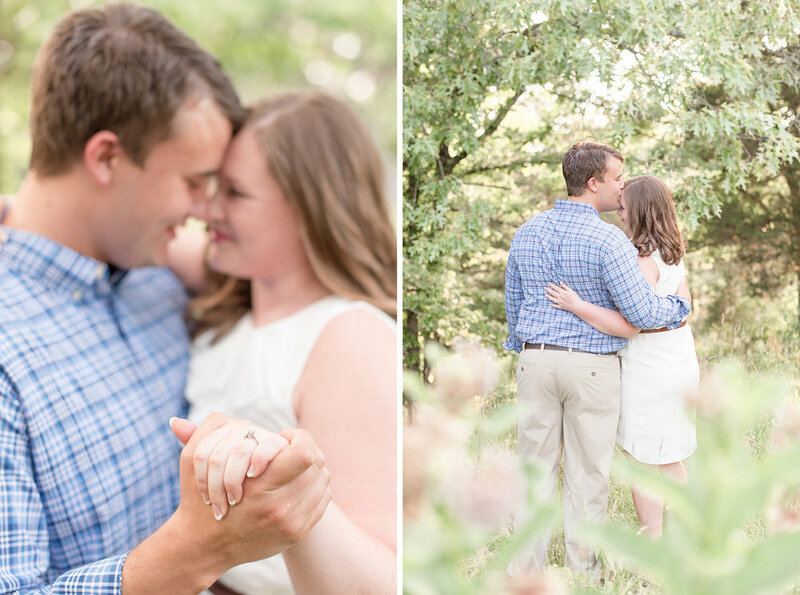 As promised, I have another adorable proposal story, this time Brittany and Nathan. Just like Sean and Jessica, Brittany and Nathan also met when they were still in high school. In a little foreshadowing, he actually asked her to be his girlfriend with a ring pop. Fast-forward to more recently, they’ve been together a while and Nathan decides it’s time to take the next step. They are in Florida on a beach trip with Brittany’s family and have plans to go out for dinner. Brittany’s mom keeps suggesting that maybe Brittany should wear something nicer for dinner... hmmmm? Then Nathan suggests they go on a walk on the beach before dinner. Brittany’s spidey senses are definitely tingling. So much so that in the elevator on the way down to the beach she gives him a hug so that she can feel if there’s a ring box in his jacket or pants. Yes. She patted him down in the elevator. I couldn’t help but laugh over this and Nathan later agreed that it definitely felt less like a hug and more of a pat down. They walk to the beach where the hotel had set up table and chairs and tiki torches for dinner, and of course she said yes! One of the things I love about this story and the previous blog is the role family plays in many of my couple’s stories. When I hear about excited moms almost giving away the surprise or dads helping orchestrate proposal details, it’s sweet to know that there are so many young people in their 20’s and 30’s who are so close to their families that they couldn’t imagine not sharing this huge step with them somehow. When I met Brittany and Nathan for coffee the first time we spent nearly an hour talking about their years together so far, their wedding plans, and their dreams for the future. Then… out of nowhere the woman next to us leans over and says “well, if you ask me, I’d say you just forget the whole wedding thing and elope to Vegas”. Who is this stranger that just hopped into this meeting? I was so surprised that I didn’t really have anything to say but Brittany nailed it. Here’s the thing… if you want to elope… do it. If you want to trade promises with your soul mate on top of a mountain or by the sea, go for it. You can spend that wedding money on a cool trip and go on a real adventure. Oh, and call me, I’ll come document it! But… if you can’t imagine taking such a big step without being surrounded by your friends and family, then by all means… have a wedding! You’ll spend all day getting hugs and cheers and being wrapped in warmth and love by your favorite people in the world, it’s a feeling unlike any other. And I absolutely can’t wait for Brittany and Nathan to feel that when they trade I-do’s in front of their families and friends this spring!